Crash testing procedures ensure the public's safety in a motor vehicle. 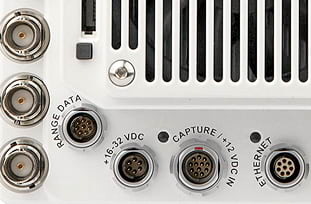 Engineers utilize a Phantom UHS v1620 to study fuel efficiency in vehicles. This helps them accomplish their goal of creating better internal combustion engines. The camera had to meet speed, resolution, sensitivity, and data storage requirements to be considered. Prof. Christoph Brucker determined that a Phantom camera would meet those needs and he was not disappointed. The Phantom C210J is designed for use with the J-Box for multiple camera synchronization. 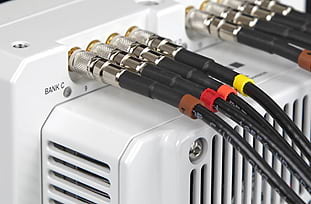 The single-cable connection capabilities makes setup and workflow simple. The Phantom N5 is the smallest camera available. The tiny camera head allows for placement in hard to reach spaces while keeping data safe in destructive environments via the N5 base. 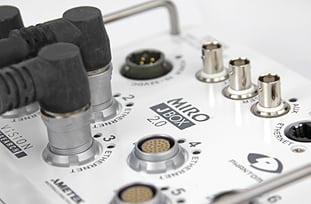 The Phantom Miro R321S is rated to 100G and provides full HD at 1,500 fps. In automotive testing this ensures data security and clear detail in volatile situations. 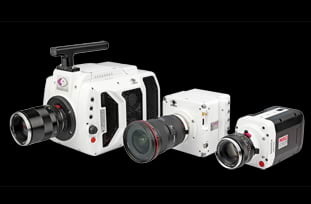 The Phantom VEO340 is a 4 Mpx camera that is compatible with the J-Box system. The large resolution capabilities equal greater coverage and detail when required. Combustion concerns in automotive research can determine the efficiency of an engine and with the proper data encourage advancements in engine technology. Phantom cameras have the high dynamic range necessary to capture combustion events. Digital image correlation in automotive testing can help with understanding how stress affects construction materials and how vibration can wear on components. Phantom cameras excel in multi-camera setups where observations need to be synchronized for complete data capture. Microfluidics study in automotive situations can enhance fuel efficiency, engine performance, and a variety of other internal component functions that require liquid to move quickly through tightly packed components. Enhancing how automobiles perform increase customer safety and satisfaction. 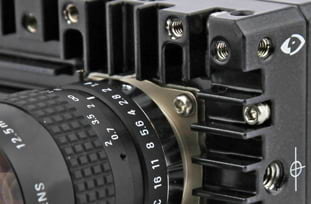 Phantom cameras have interchangeable lens mount options to allow for a variety of application uses. Workflow processes are important to automotive testing. Researchers must understand what options are available and what type of setup will best benefit their needs. Phantom cameras have a complete automotive setup via the J-box system but other options are available if they fit the application being tested. A high-speed camera for automotive needs is going to enhance the results of safety testing procedures. 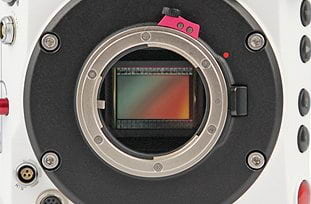 Finding a camera or the proper camera system is an exciting endeavor, but can also be daunting, especially when you are attempting to establish which type of camera would work best for the tests you will be performing. The easiest way to decide which camera you will need is to answer four key questions about your facility and needs. • Proximity - How close does the camera need to be to the event? Is the testing best done on or off-board?